WITH A SHOWROOM AT 9 MANSION STREET COXSACKIE N.Y.
We are located in a village on the banks of the Hudson River. We are 10 minutes off the NY State Thruway Exit 21B. In a picturesque county of New York State, frequently painted by members of The Hudson Valley School of Art. Past and present. Approximately 22 miles south of the state capital, Albany. We recently decided to launch our web site after being sellers on Ebay since Dec.5,2001 as babar107. Yes ,one and the same. With over 700 sales and an increasing number of repeat buyers , we are seeking to better serve our clients. We plan to serve you with quality items at better prices , since we will no longer have a silent partner taking their cut. 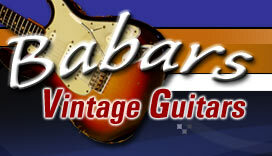 We will also specialize in vintage Fender and Gibson parts. We have over 30 years of experience specializing in vintage ,used and new instruments and amplifiers. We are among the fortunate, whose hobby and passion grew to a business. There is always something to learn. What we know ,we share. It has been a pleasure to serve you all on Ebay since 2001 and we look forward to this next enterprise. Please feel free to browse. Email us if there is something specific that you do not see. We have a large stock of inventory . There are new items arriving daily. You may elect to sign up on our mailing list. You will be the first to know when something of interest to you arrives. We Love Trades and are always looking to purchase quality gear, vintage, used and new. 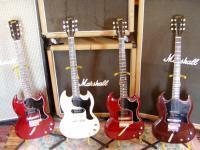 We pay well for quaility vintage instruments and amplifiers. All items are described. Please feel free to call or email for a more detailed description. Our goal is to provide the best items at the best prices with the best service to our clients. We welcome first time and international buyers. All purchases have a 48 hour approval. Shipping is not refundable. Home Email Me Mailing List Featured Article Why Vintage Guitars?